Pictured above: The Clinton Campbell House, one of fewer than 50 remaining 19th-century homes in Phoenix, will be demolished to make way for an unspecified future development. Recently we seem to be losing one historic building after another in Phoenix to the bulldozer for lack of regulatory protections. In a political climate that places a high value on private property rights, unless owners voluntarily protect historic buildings they control little can be done without risking huge legal bills or court judgments. But why does it so often come down to us-versus-them? In a reflection of today’s polarized political climate, the answer may illustrate two radically different worldviews about economics and our responsibilities to society. There is a familiar pattern to many losses of historic buildings in Phoenix that reads like this: A building’s historical importance is recognized by survey, but it is not legally designated historic because of objections by the property owner. The property is put on the market. It sits with a for-sale sign in front for months, and then years, as one developer after another looks at it, evaluates the development proforma of an adaptive reuse project, and walks away because the high asking price can’t be justified. Just when it seems that the seller is going to have to lower the price, a buyer appears that negotiates a purchase close to what the seller was asking. 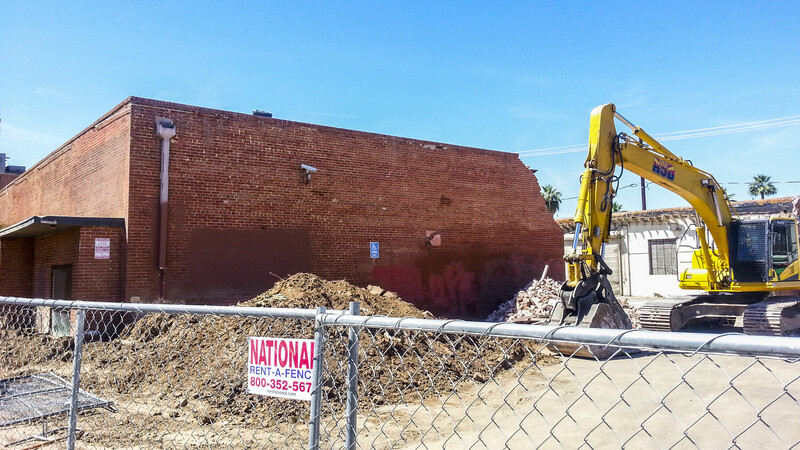 Soon thereafter, a demolition permit is filed, the community cries out, and another piece of Arizona history disappears. The three examples that come to mind are the Stewart Motors Studebaker building, the Clinton Campbell House, and just recently, the Melrose Drive-in Liquor building. All three of these illustrate the pattern exactly. The slightly Googie-style Melrose Drive-in Liquor building can’t be economically reused, according to the developer of the multifamily projecct behind it. Why were these buildings left unprotected, if they are so worthy? Stewart and Campbell were identified by historic surveys in the 1980s, and the Melrose building was on the developer’s radar from the inception of their project. Someone could have nominated them to the National Register of Historic Places, but the documentation needed can be complex and costly to create, and listing is contingent on the consent of the property owner. In any case, National Register listing provides little to no protection except from a federal government action. Real protections are embodied in Historic Preservation overlays written into the zoning ordinance. But since 2006, when the Private Property Rights Protection Act (a.k.a. Proposition 207) was passed in Arizona, cities are more than reluctant to re-zone anything without owner consent. It’s important to be clear on this point: although not formally listed or zoned, these buildings are unquestionably historic. Having a detailed write-up and federal recognition doesn’t make a building historic. Being zoned with an HP overlay does not make a building historic. The criteria for evaluating whether a building qualifies as historic have changed little since the 1960s. If it’s generally at least 50 years old, represents an important historical event, person, or architectural pattern, and still looks the same as it did “back then,” it’s historic. It’s what preservationists call “National Register Eligible” and it’s just a fact of a building’s existence. The Stewart Motors building is now about 2/3 gone. The developer plans to use the front corner alone as the focus of their project. The demolition of these buildings (or in the case of Stewart Motors, 2/3 of it) may be the result of a purely economic viewpoint on the part of the developers. If demolishing a building and putting something bigger and newer on the site can create more value than rehabilitating the historic building, then some people believe that our laissez-faire economic system says it must happen. It’s not me tearing down that building, it’s Adam Smith’s invisible hand! But economics is more complex than that. There are other forces at work. In a sales transaction, there is a buyer and there is a seller. Negotiation between the two determines the true value. Because these properties sat on the market for several years, it’s apparent that the seller’s idea of their value exceeded what most buyers found to be a justifiable price. They knew that the community would want the building preserved, and that a rehabilitation project couldn’t be economic at the price being asked. When a buyer does come along who is willing to pay the higher price, it’s often because he’s willing to go farther than everyone else. Whether through ignorance, malevolence, or indifference, they are taking advantage of the fact that there are no regulations preventing them from “maximizing the value” of the site by removing impediments such as old buildings. And this is where the two worldviews collide. Do we have a moral obligation to preserve buildings for the good of the community? Morals and ethics are not laws, but they are part of the social contract that we live by. They are the rules of politeness, unselfishness, and humanity that lubricate our interactions with others, creating trust and harmony. In the absence of laws, ethics are the only thing preventing a “tragedy of the commons” effect, a race to the bottom, from occurring. Adherence to the ethical standards of the community is what caused these buildings to stay on the market so long. In the cases of Stewart Motors and the Clinton Campbell House, either the new owners did not recognize that the buildings were important to the community, or they didn’t care. If the former, they are negligent in not doing the depth of research on the property they should have, and the community was negligent in not making their importance more obvious. But I fear the latter is more likely. In the absence of laws or zoning regulations to halt bad actors, it is up to the community to communicate and enforce the ethical standards we expect people to live up to. To the development community, I say: please be aware that the set of historic buildings that the community cares about is much larger than the set of buildings that have preservation overlays on them. You should expect resistance to their destruction, even without protections being written into law. The community expects you to do right by our historic buildings because when you are doing development work in an urban context, there needs to be a cooperative process where everyone comes out a winner, as much as is possible. And to the community, I say: we need to do a much better job of identifying, recognizing, celebrating, and publicizing all our historic building stock, whether or not formally recognized. Without such recognition, it is far too easy for developers to claim ignorance in defense of a development scheme that requires demolition of an historic building to pencil out economically. Will Grand Avenue be Next? Most Valley residents know Grand Avenue as the diagonal street standing out from the metropolitan grid like an arrow pointing to downtown Phoenix. But they may not be as familiar with the most interesting neighborhood in the city, Historic Grand Avenue, the southernmost mile of this fifty-mile road. Historic Grand hit a low point in the 1980s and 90s, but bounced back through the efforts of hardy artists and entrepreneurs looking for affordable rents and inspiration. That success could now be its downfall, as real estate investors look for the next trendy area to redevelop. Will the hard-fought gains of the last twenty years be lost? The last few years of changes on Roosevelt Row (known to downtowners as RoRo), a neighborhood with a similar history just a mile away, have amplified this concern. Redevelopment of RoRo kicked into high gear in 2016. Down came many little old buildings and up went five-story, full-block urban residential developments. Rents have risen, driving out small local coffee houses, boutiques, and galleries. It’s a pattern seen over and over in America’s gentrifying urban centers. What can Historic Grand learn from RoRo? And most importantly, is gentrification the inevitable fate of every Bohemian neighborhood, or can we do better? Historic Grand is a neighborhood like no other – a rich stew with a flavor that transcends its ingredients. If the object is to save it from predatory development and its side effects, it’s important to understand what it is about Historic Grand that merits saving. The diagonal of the street itself, forming angled intersections and pie-shaped building lots, is the canvas of the neighborhood. Such a street is a stark contrast in a city of right angles. When you drive on Grand, you know where you are. Homes and businesses grew within this cockeyed framework over the first seventy years of the 20th Century. In the same block, you will find some historic buildings and some “vintage” buildings – but very few new buildings. As Grand developed, things were constantly churning – buildings being built, others being torn down, some being remodeled – until about 1970, when highway traffic started to be diverted onto the Interstates. Then nothing happened, for a long time. If location is important, you couldn’t do much better. Grand Avenue’s front door, historically known as Five Points, lies at one corner of the downtown central business district. That provides excellent access to all the services downtown, as well as potential shoppers and clients. One of the most important qualities of the historic environment is its fine-grained texture. Blocks on Grand average about 500 feet long, but the average building or lot has a frontage of only about 100 feet. From a pedestrian’s perspective, you are encountering something different every 20 seconds or so. Contrast that with typical full-block developments that bore you for two minutes at a brisk walk. 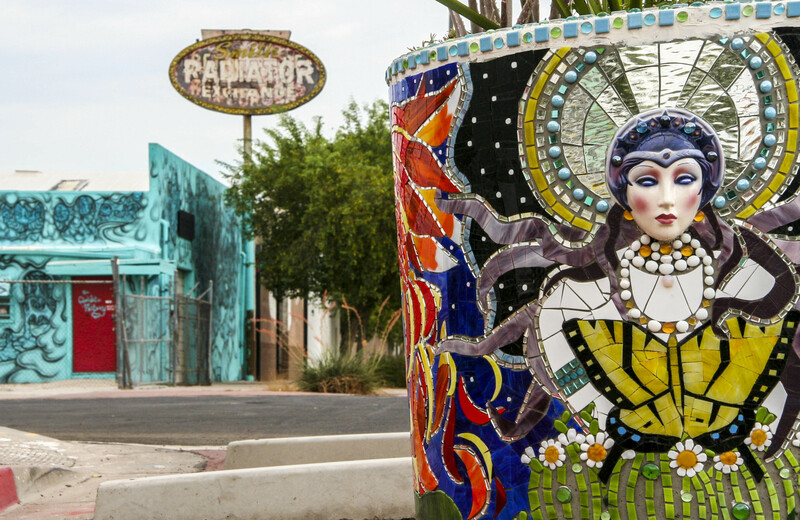 In 2012-13, the “Greening Lower Grand Avenue” plan created Phoenix’s first “complete street” along Historic Grand by reducing traffic lanes to one in each direction and adding bicycle lanes, curbside parking, and raised planters in the street that have been decorated by local artists. While the street looks more inviting and colorful than it did before, this configuration has also slowed and reduced traffic on the street, contributing to walkability. Landscape enhancements to the plan are still being developed. So the street, the buildings, and the other improvements offer something unique to Phoenix. But what really makes Grand special are the people. Historic Grand is a model of economic and ethnic diversity. It is home to artists, merchants, beauticians, wholesalers, professionals, brewers, landscapers, musicians, restaurateurs, luthiers, and mechanics, to name a few. Grand together with its adjacent residential areas represent an affordable place to live and work close to downtown. This kind of diversity is important to the life of the city. 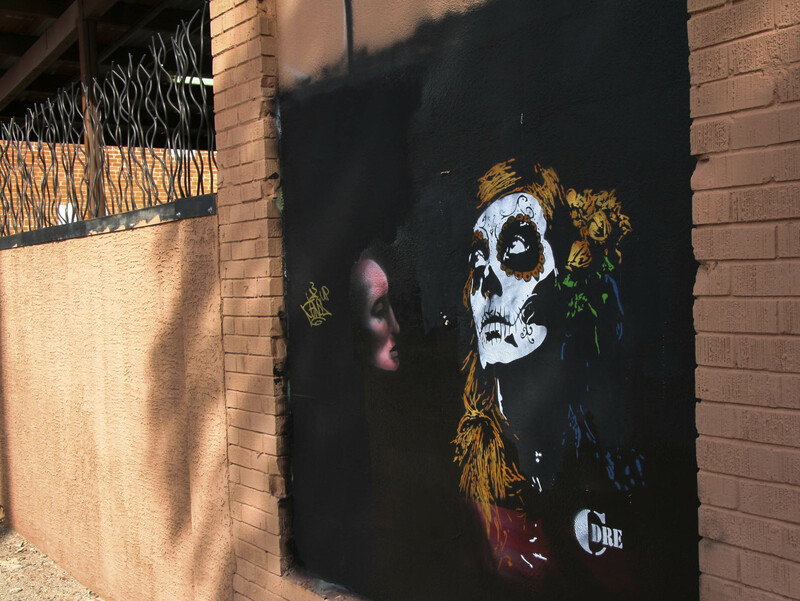 Much has been made about the impact arts and artists have on any community or neighborhood. In Historic Grand, art is found not only indoors within the galleries that have made Grand their home, but also in murals, planters, crosswalks, and yarn-bombed trees and street improvements. It’s the people who make the art. They also make wonderful events. The area pulses on First and Third Fridays and ArtWalk, and hosts a significant crowd during the Grand Avenue Festival in the fall. If you lose the people, you lose these events. All of the properties along Historic Grand are privately held by a wide variety of owners and investors. These properties can and will be bought and sold, and some buyers may only be interested in the neighborhood assets to the extent that they improve their own property value. Very few buildings have any level of historical protection, and it’s always easier to tear down and build new. Can this development be controlled, or at least shaped? Can we keep the street welcoming to pedestrians? Can we keep the funky buildings, historic and otherwise? And can we keep rents affordable for homes, art space, and small businesses? I think we can. I’ll share my ideas in Part 2 of this article. Robert Graham is President of the Grand Avenue Members Association and the Grand Avenue Rail Project, but the views represented in this article are strictly his own and do not reflect the official position of these organizations. Author MotleyblogPosted on January 10, 2017 January 10, 2017 Categories Development, Historic Preservation, Urban DesignTags Downtown, Gentrification, Grand Avenue, Phoenix2 Comments on Will Grand Avenue be Next? 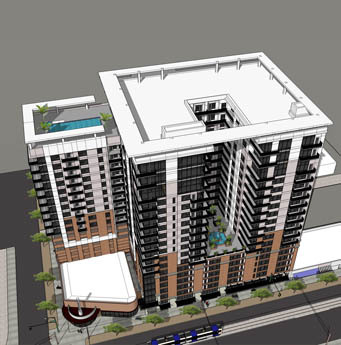 Will Phoenix downtowners buy a revised design that’s really just a facelift? The proposed redevelopment of the Stewart Motor Co. Studebaker building (a.k.a. 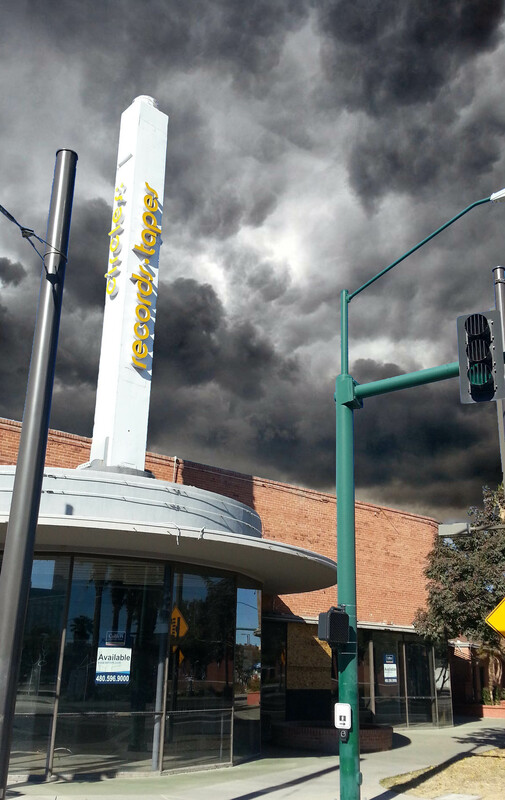 Circle’s Records) by the Empire Group continues to concern downtown stakeholders. Following a rebuke of the developer’s latest plans by the Roosevelt Action Association (RAA), Empire is doubling down, refusing to take no for an answer and continuing to push the plan by any means at their disposal. In May 2016 Empire angered the downtown community when it initiated demolition of the historic car dealership after their initial plans for a 19 story apartment project (which would have resulted in the demolition of as much as 75% of the building) met with resistance that, in their view, threatened their right to tear the building down at will. The inevitable storm of bad PR caused by the surprise demolition work caused the city of Phoenix to immediately pull out of negotiations with Empire to receive city support for their project. Finding themselves suddenly cast in the role of Evil Villain Developer, Empire turned a complete one-eighty, firing their zoning attorney and blaming him for the “poor advice” that they accepted when calling in the bulldozers. The developer’s new representatives, the Rose Law Group of Scottsdale, embarked on an apology tour in an attempt to get the project back on track. In a series of meetings with various groups, lead attorney Jordan Rose assured community leaders that the demolition was all a mistake that wouldn’t be repeated; that CCBG, the architects for the project, were already working on a new, exciting approach that would address all of the community concerns; that the new design would be so fantastic that project opponents would be amazed at the total transformation from the original plan, and would become its biggest supporters; and that the project wouldn’t move forward until it received said community support. Empire’s hostage-taking approach following the public resistance to its first plan led preservationists to view their later overtures with suspicion. But in the interest of preserving one of the last pair of endangered car dealerships on Central Avenue, many were willing to withhold judgment until the developer shared the new plan. Rose was informed that the community only wanted one thing: that the Stewart Motor Co. building be preserved. “Preserved” in the sense that it would remain eligible to the National Register of Historic Places. It’s a plain, simple, cut-and-dried criterion for gauging whether or not the community’s desire has been addressed. A working knowledge of historic preservation basics is important to evaluating whether or not Empire’s proposal meets the goal of “preserving the building.” How do we decide what’s historic, and what’s not? And how do we define what changes you can make without ruining those historic qualities? For a building to be considered “historic,” it’s not enough to just be old. It must have two essential qualities: significance and integrity. These are the criteria used by the National Register to decide whether or not a property is worthy of listing. Significance is pretty easy to understand – it’s the important “story” that the building tells. In the case of Stewart Motor Co., there are actually two areas of significance. First is the building’s part in the history of the Central Avenue “Automobile Row” and as a focus for auto sales. The second is as an important local work of architecture. Integrity is a little slipperier. Some think of integrity as a measure of how much a property has changed since it was built, but that’s not totally accurate. Technically, it’s the ability of the building to “convey its significance.” So for a building to convey the significance of its architecture, the individual features that were important elements of the original architect’s vision all need to remain, in recognizable condition. And when we’re talking about “vision” and “design,” we are talking about the whole building, not just what some have called “the iconic elements,” and not just facades. In order to convey the building’s significance to the history of this part of Central Avenue, it needs to retain (recognizably) all of the elements that mark it as a full-service auto dealership of the 1940s and 50s – not just the showroom – and enough physical, surrounding context so that people can recognize its place in the larger streetscape. The Ten Commandments of the preservation world, the “Secretary of the Interior’s Standards for Rehabilitation,” were written to guide designers on what changes could be made and still retain the historical integrity of the building. The purpose of all of this is to identify a clear, unambiguous criterion to maintain pieces of our shared history in a way that they continue to “tell the story.” Because if you can’t tell by looking at a building what it is and how it’s related to our history, then what’s the point? Worse yet, if the building is changed in such a way that throws it completely out of context or implies a different back story, will future residents of our city get a completely wrong idea about our history? In early June, the developer’s architects and attorneys unveiled the much-anticipated revision. While the building addition’s general form, height, scale, and massing are unchanged, it’s apparent that significant time and effort has been paid in the development of details and features aimed at increasing the project’s compatibility with the historic core’s architecture and the project’s place in the south Roosevelt neighborhood. The biggest and most positive change has been the new commitment to preserving all of the building’s facades along Central Avenue and McKinley Street. However, because the footprint of the new apartment tower is closer to the street than the front of Stewart Motors, the north half of the historic façade ends up as one side of an interior space behind a glass curtain wall. Another new commitment is a significant investment in local art. The entry would be marked by a flaming Pete Diese steel sculpture (his largest to date). Otherwise-dead areas of the parking garage would be enhanced by huge murals the size of (or perhaps emulating) billboards. Presentations were made by the development team to a variety of stakeholder groups. A consensus appears to have reached that while “The Stewart” is an improvement from “Circle on Central,” the project still has not addressed the community’s greatest concern for preserving the building, nor has it provided more than lip service to a grab bag of potential mitigating features. The neighborhood group representing the area, the Roosevelt Action Association, summarized this in a July 25 letter to the city. RAA has declared “an impasse,” essentially giving up on talking with Empire because they aren’t listening. So why, with all these improvements, is the project still unacceptable? Because it does not meet the simple criterion communicated to the developer that the Stewart Motor Co. building be preserved. Instead, it seems to be doing everything except for the one thing that the community requested. On July 28th the developer’s attorneys issued a rosy response (pun intended) to RAA’s letter, putting a positive spin on each of RAA’s objections. This letter reveals a remarkable disconnect in communication between the sides while shining an interesting light on their future strategy toward achieving a GPLET tax incentive from the city. The first item RAA discussed with the developer, in RAA’s words “to no avail,” was the “further preservation of the building.” In the response, Rose expresses agreement with this goal but goes on to defend the proposal as it stands – that the new design “preserves the most significant as well as recognizable portions of the building” and using the analysis (but not explicit support) of its paid preservation consultant to provide a fig leaf of legitimacy to a design that would make the building ineligible to historic registers. 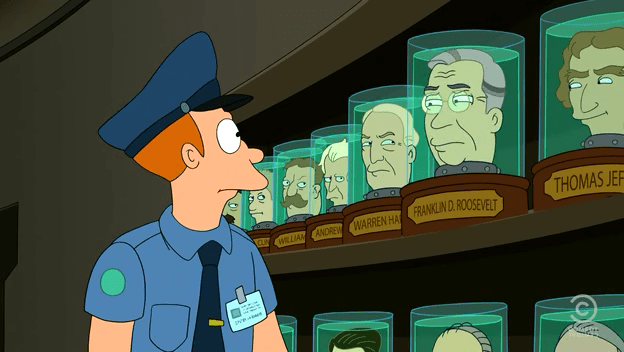 A Wyoming defective product attorney firm weighed in to say that, not only would the project still demolish at least two thirds of the fabric of the building, the most interesting feature of the new design – the encasement of a portion of the façade behind glass – would radically change the context of the facade and result in “head in a jar” preservation. That RAA was hoping to be presented with “alternative design solutions” met with similar “agreement” and a non-responsive defense of the current design. I believe that the neighborhood was hoping for more than a skin-deep façade remodel of Circle on Central, and be presented with designs that actually changed the form of the building, but this distinction appears lost on Rose. Rose’s letter puts similar spin on RAA’s ideas to include museum space (RAA: 3,000 square foot historical museum; Rose: museum-quality exhibits, no area commitment) and alternative funding sources (by which RAA probably mean preservation grants and tax incentives and Rose appears to mean GPLET). As reported in the Downtown Devil, the RAA has publicly disavowed the areas of “agreement” implied by Rose’s letter of July 28, but that has not put an end to the campaign to get back into good graces with the city. While city representatives have stated that they don’t intend to restart discussions with the developer at this time, that stance could change if Empire can show support in the community for the project. It appears that the strategy now is to drive a wedge into the opposition between “preservationists” and “artists.” Compared to Circle on Central, The Stewart is tailor-made to appeal to our local arts community as much as it alienates preservationists. Several in the arts community report being contacted for “one on one” meetings with the development team in order to “get their input” – or perhaps to gauge what it would take to get their support. A similar effort is being mounted to push the “affordable housing” potential of the project, which could splinter off the pro-urban members of the coalition. A cynic could get the idea that Empire believes that the artists and “urbanistas” can be successfully bought off by purchasing some of their art and throwing in a few below-market units, opening the way for a new run at the city to secure the estimated $15 million in GPLET value for their project. That would be a tragedy for the unity of our downtown community that, if successful, would set the worst precedent of all. The developer of Circle on Central, the planned redevelopment of the historic Stewart Motor Co. Studebaker building at Central & McKinley, has apparently decided to play hardball as they plow ahead in their quest to secure GPLET tax incentives from the city of Phoenix despite mounting public opposition. On March 28, the Empire Group pulled a permit for the complete demolition of the un-designated historic building, constructed in 1947 as the Studebaker dealership located in the heart of Auto Row, as Central Avenue north of Van Buren was known. While the developer denies that they have any plans to demolish the building within the 30-day life of the permit, they made clear in a public meeting this Tuesday that they would seriously consider complete demolition of the building if their request for property tax incentives from the City is denied. Phoenix preservation advocates approached the developer earlier this year to open discussions on the affect of their proposed development on the historic building. They were shown a 19-story mixed-use addition that would obliterate nearly three-quarters of the building. Alarmed at the impact of the design, a letter was circulated requesting that the developer consider alternative approaches that would leave the building substantially intact. To date, the developer’s plans have remained unchanged. Whatever one thinks about the merits of the development, there is little meaningful leverage available to the community on its impacts because the property does not have any historic preservation protections (due to the resistance of the prior and current owners) and because the development conforms to zoning requirements without apparent need for variances or use permits. As public knowledge of the project has grown within the downtown community, attention focused on one of the few elements of the project that requires a special approval process: participation in the Government Property Lease Excise Tax program, or GPLET. For the full background on this story, the reader is referred to the prior article, Storm Clouds Circle. The basic idea of GPLET is that after the project is finished it is placed under City ownership for a certain period of time and leased back to the developer. This removes the property from the property tax rolls because the City is not subject to property tax. A substitute excise tax is paid in its place (at a much reduced amount). GPLETs have been handed out by past City Councils for years as one of the few tools available to incentivize downtown revitalization. They have been evaluated on a purely monetary basis – that the economic impact of a particular project will justify the reduction in tax paid by the developer over the course of the GPLET. The program has become controversial in recent years because of the tax implications on properties not receiving GPLETs – the other downtown property owners have to pay higher taxes to make up the difference. Reduced tax revenues to the public school system have also been made an issue, although recent agreements include provisions intended to make the school revenue whole. Many in the downtown community have been asking that the city re-evaluate its GPLET program and stop handing the incentives out so readily. At some point, downtown has to be deemed a redevelopment success that no longer requires public subsidy; at which time GPLETs could incentivize the other kinds of goals that are not yet being addressed. A precedent was set just this year: Council’s approval of the Derby project was predicated on the inclusion of attainable housing in the project, at the request of the community. In the case of the Circle on Central development, it is fair to ask: no matter the economic benefit, should we be providing public subsidies to private projects that destroy valued historic buildings? 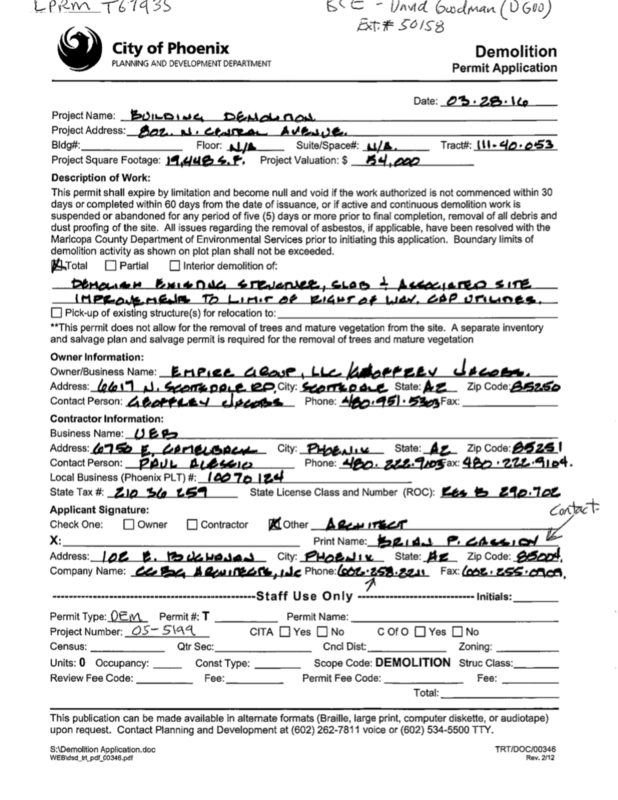 Most people were quite surprised to learn of the developer’s application for demolition permit. Up to this point, the development team has seemed quite open and has implied, if not explicitly stated, that the project was still in its formative stages and that they would be happy to engage in a discussion with downtown stakeholders with the aim of improving the preservation impact of the project. The developer was invited to present their project to the Roosevelt Action Association, which represents the neighborhood within which the project is proposed. They accepted and the developer attended a meeting on the evening of April 5, accompanied by his architect and his attorney. Empire’s bottom line could be paraphrased as follows: The project is not going to change. We are only going to preserve the southeast corner of the building. 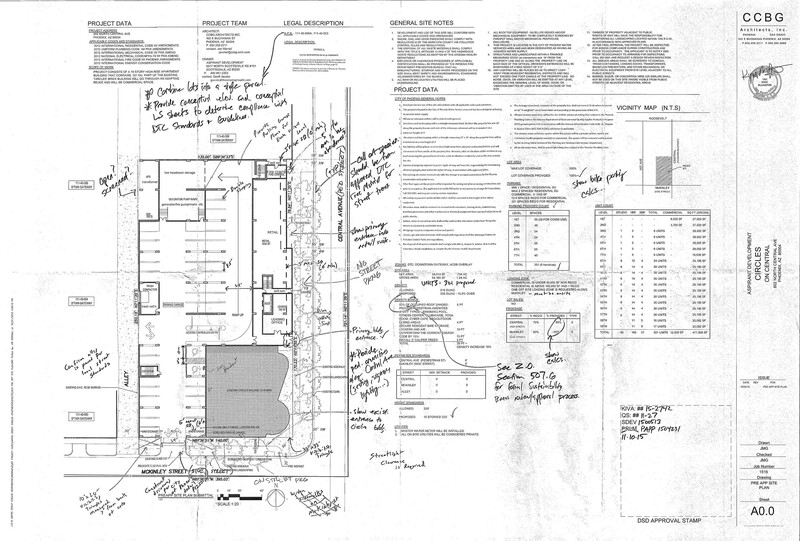 We will throw you a bone by committing to a façade easement on the part that we don’t plan to tear down, and by putting historical displays inside. And if we don’t get GPLET, we will probably tear down even that last bit of the building. Aesthetics aside, architectural design is largely an exercise in reconciling competing values and requirements. Some, such as the ability to stand up or be safely fled if there is a fire, can’t be compromised. Other requirements are often found to be at odds and a decision must be made as to which gets priority. For instance, the client may want to make a window larger, but doing so will increase the heat load. Which do you want? A bigger air conditioner or a smaller window? This mundane example could be one of thousands of similar trade-offs that architects make in the course of designing a single project. “Historic preservation” in the case of Circle on Central has become one of those values that have been compromised in favor of other aspects of the project that the developer finds more important. We know that the developer’s program can be accommodated on this site with a drastically reduced impact on the Stewart Motors building, because prior to the public meeting, an alternative scheme was shared with the developer’s architects that could provide similar or greater development intensity while preserving enough of the building to retain National Register eligibility. This plan is arrived at if you value preservation as a higher priority than, say, reducing the building height or eliminating curb cuts along Central Avenue. Assume as a given that the project has to accommodate about 310 apartments and about 330 cars. This density is capped by the zoning. One way to reduce the amount of building destruction that must take place is to reduce the footprint of the new addition and make it taller. You would not be losing any units or square footage. You would probably lose some efficiency and therefore increase the cost overall. However, the zoning also provides height and density bonuses for projects that preserve and rehabilitate historic buildings. In this case, by preserving the building, you could increase the yield of the property from 310 units to as many as 540 units under the code. As a practical matter, because of the limits of parking feasibility, you could probably achieve only about 100 additional units, but going from 310 to 410 units is a significant increase and should help offset the loss of efficiency. Minor alterations to the shape of the building would also result in a significantly increased level of preservation. Just by stepping the façade back where the new addition meets the old building, you can preserve all of the historic streetscape along Central. If you reopen the historic driveway entrance to the service bays, you can use that as an entrance to your parking garage. The whole Central Avenue side, preserved! Finally, the project may qualify for historic preservation tax credits or other incentives if a successful compromise can be reached. The biggest hurdle would be convincing the National Park Service that placing a 350-foot building next to/atop the historic building would not result in an unacceptable change to its historic context. But it would be worth exploring. If the expense to rehabilitate Stewart Motors were $200 per square foot, the tax credit would be worth half a million dollars. Admittedly, the design concept presented above is pretty rough in comparison to the developer’s plan, but we don’t have the benefit of eight months in design development. What I hope this example demonstrates is that the developer’s plan can’t be considered the one and only plan that works. The developer has made a conscious decision from the start to sacrifice 75% of the building because they thought they could. And by right, they can; but that does not mean that we should dedicate public money to it. It couldn’t be better said, and speaks to Empire Group’s approach to this design. They need to understand that just because they own the property, that doesn’t mean they don’t have a responsibility of stewardship. And the community should not knuckle under to the “whim du jour” because one piece of the building is being held hostage, while the rest is already under a death warrant. Empire Commercial Development’s acquisition of the Stewart Motor Co. Studebaker building at Central & McKinley Street in downtown Phoenix has raised alarm with many downtowners. 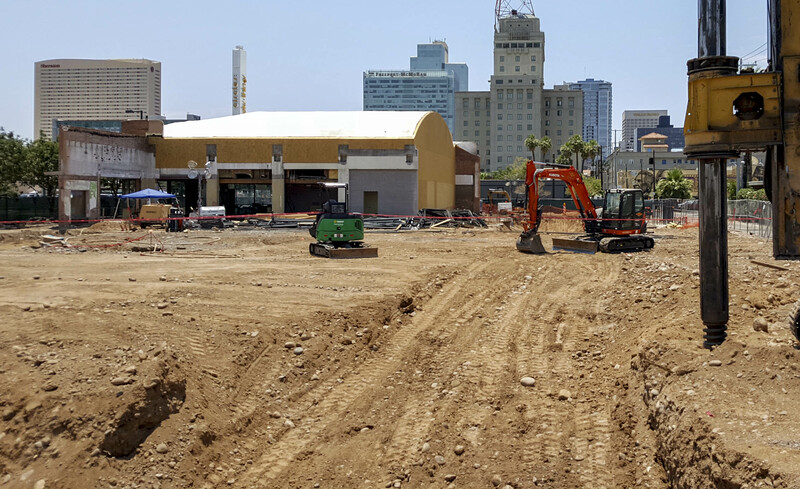 The preservation community appears to have good reason to be concerned: the site of the historic auto dealership, known to many as the long-time home of Circles Records, is planned to host a 19-story, 321-apartment mixed use project. As currently rendered, the development will result in the demolition of 75% of the historic building, dashing hopes that it would be rehabilitated as another example of respectful adaptive reuse in Roosevelt Row. The Stewart Motor property has long been identified as being eligible to the National Register of Historic Places. The building’s history and architecture make a significant contribution to the understanding of Central Avenue north of Van Buren Street as “Auto Row.” However, listing in local, state, and federal historic registers can only be done with the consent of the property owner. 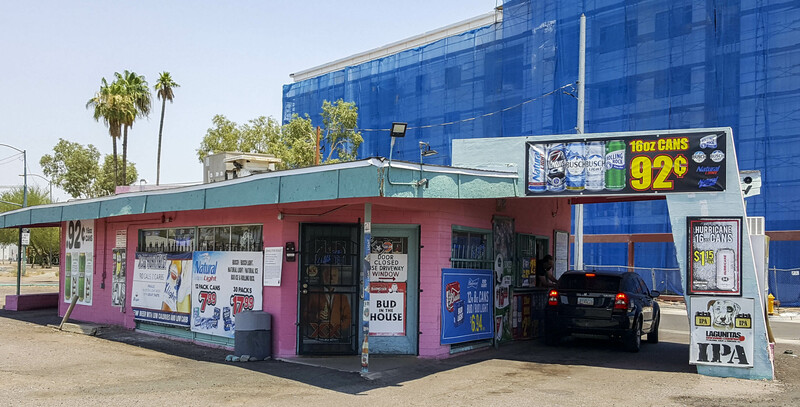 At this time the property has no formal protection from being altered or demolished, and as renderings appearing on the developer’s web site and in site plan submittals to the city of Phoenix indicate, their plan is to demolish all but the southeastern quarter of the building. Fortunately, there still may be time for community involvement to influence the outcome. 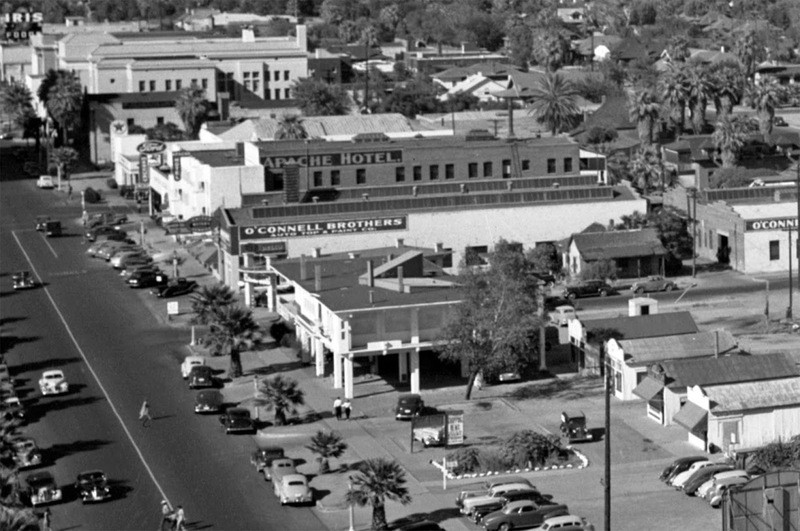 The growth of Phoenix’s urban fabric after World War II was almost totally oriented around Arizonans’ love of cars and their ability to get them quickly out to the suburbs. Because cars largely defined the Phoenix we know today, one of the most important themes in the historical development of our city is automobile transportation. Phoenicians’ love of the automobile grew quickly after the invention of the horseless carriage. Auto sales and service companies soon clustered near the state highway that ran through town, Van Buren Street, located mostly west of Central. As the city expanded in the 1920s, Auto Row (as well as other commercial businesses) spilled north along Central Avenue to Roosevelt, replacing earlier residences. Along this half-mile stretch of Central in 1930 one could peruse dealerships exhibiting new Durants, Pierce-Arrows, Oldsmobiles, Vikings, Packards, Pontiacs, Auburns, Hudsons, Essexes, and DeSotos. Between the dealerships were used-car lots, gas stations, and various auto-specialty services and other businesses. Many of the early auto brand names went bankrupt or were consolidated during the Great Depression and World War II. The dealership system was affected as well, but the auto-centric character of north Central continued through the 1950s. 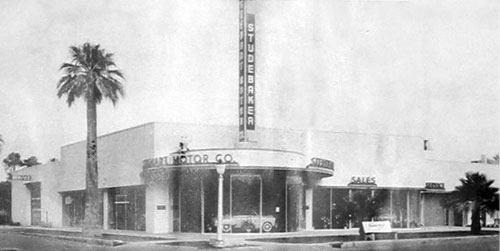 The last new auto dealership on Auto Row, Stewart Motor Co. Studebaker, opened in 1947. By 1948, Auto Row hosted most of the major automakers familiar today together with a few hold-overs of the earlier era. In addition to the Stewart Studebaker dealership, Coulter Cadillac-Oldsmobile, Phoenix Lincoln-Mercury, Madison Motors Ford, and Stephens-Franklin DeSoto-Pontiac were the name-brand dealers on north Central after the war. Stewart Motor’s building was about double the size of the other dealerships on Auto Row, and was designed for Jack P. Stewart by local architect W. Z. Smith in a cutting edge Streamline Moderne style that echoed the wind-swept design of cars of the day. The sinuous exterior was painted a bright yellow, which was carried into the showroom interior and trimmed in soft turquoise and russet. The showroom was unique in Phoenix for its rotating display turntable as the central feature of the design. The auto repair shop in back was a cavernous space, 20 feet in clear height with exposed wood bowstring trusses above that. Parts sales and offices in the northern part of the building completed the functional requirements of an auto dealer. While less ornate than the showroom, the office block provided visual balance along the Central Avenue side and was conceived as an integral part of the design. 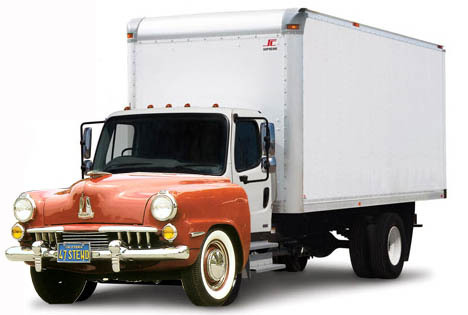 Stewart Motor Co. operated the dealership through 1966, the year the last Studebaker rolled off the assembly line. The era passed to secondary uses, and in 1972 the building was rehabilitated by the Singer Family as Circles Records, which operated until 2010. The building has been on the market ever since the closing of Circles. The Stewart Motor building is a rare survivor of the demolitions that took place along Central Avenue in the 1970s, 80s, and 90s. 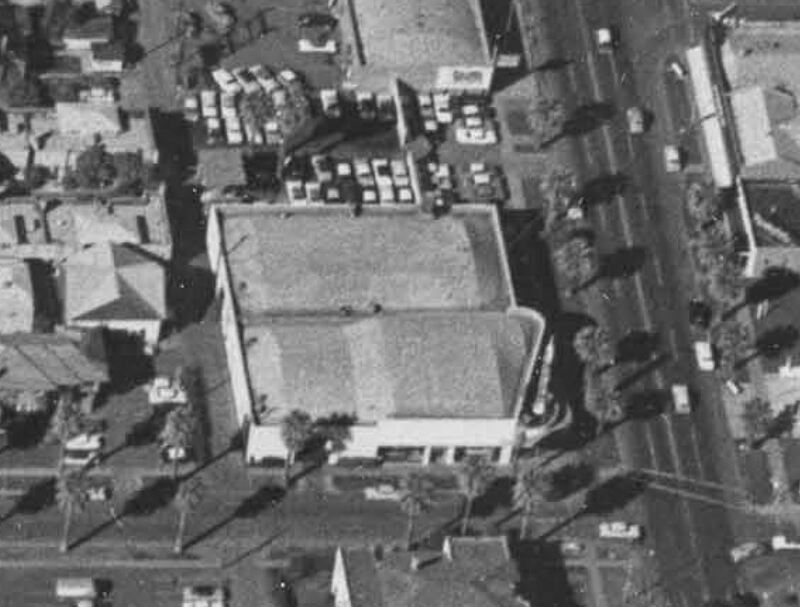 There are only three other auto sales and service buildings left on Auto Row of the dozen or so facilities that have existed there over the years. Only two of those have been protected and rehabilitated, the A. E. England Motors building (in Civic Space Park) and the C. P. Stephens DeSoto building (Central & Roosevelt). The third, the Phoenix Lincoln-Mercury building (just south of DeSoto) remains, like Stewart Studebaker, without any formal recognition or protection. 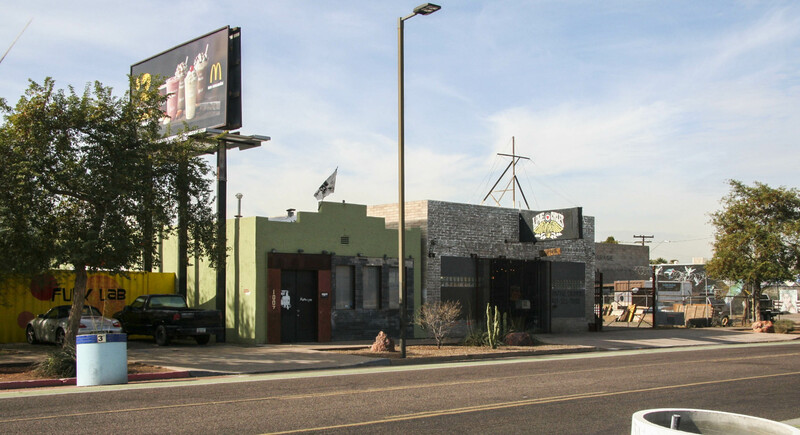 The Stewart Motor Co. building was first recognized as an historic resource in the Central Phoenix Historic Commercial Properties Survey in 1984. 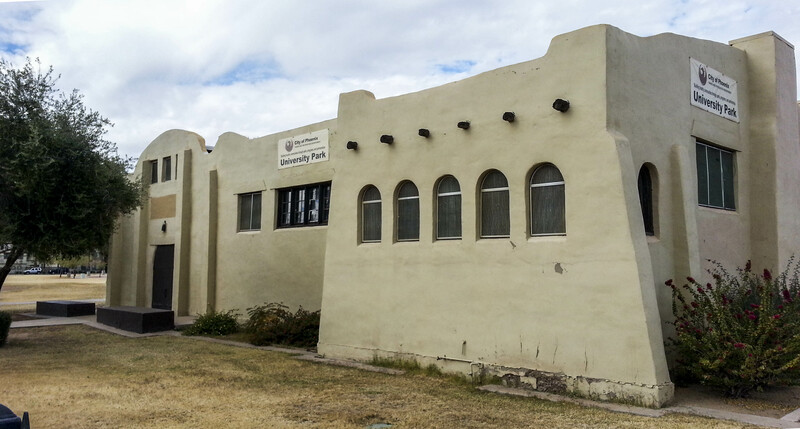 The city of Phoenix Historic Preservation Office tried for several years to have the building designated with city register listing and an HP zoning overlay, offering the owners the prospect of historic preservation grant money in return for allowing the property to be listed. They declined. Because of a restrictive state law known as Prop. 207, rezoning a property against the owner’s wishes such that its market value is potentially reduced is not possible unless the city is prepared to pay the difference or take the issue to court. (So far, Prop. 207 has never been tested in court.) The Stewart Motor Co. property remains eligible for listing, but unprotected. For a short time in 2010 it appeared that the building would be saved as the new home for Arizona Opera. The city entered into discussions with the Singer family to purchase the building outright using arts and culture bond funds on behalf of the opera company. Our firm, Motley Design Group, was hired to analyze the building and prepare an initial analysis of its suitability as a rehearsal venue, with storage and offices for Opera administration. It was a use that fit hand-in-glove with the spaces available. Unfortunately, negotiations faltered on environmental issues and the city backed away from the property. Since that time, developer after developer approached the Singers with the hope of rehabilitating the building. Each time, negotiations hit a major stumbling block: the $2.9 million asking price. In the depths of the latest recession, the property cost just could not be amortized into a successful project. As the US clawed its way out of the hard times and downtown started to take off again, hopes were raised that a successful sale could be negotiated and the building could be saved. Within the last year, rumors once again circulated that the building was under a sale contract. In mid-2015, the offer came that apparently stuck. In November, news appeared that a 19-story apartment was in the works, but that the building would be saved. No details were known, and preservationists remained hopeful but cautious. In January, the architects for the project, CCBG, led a tour of the planned project for the benefit of preservation group leaders. 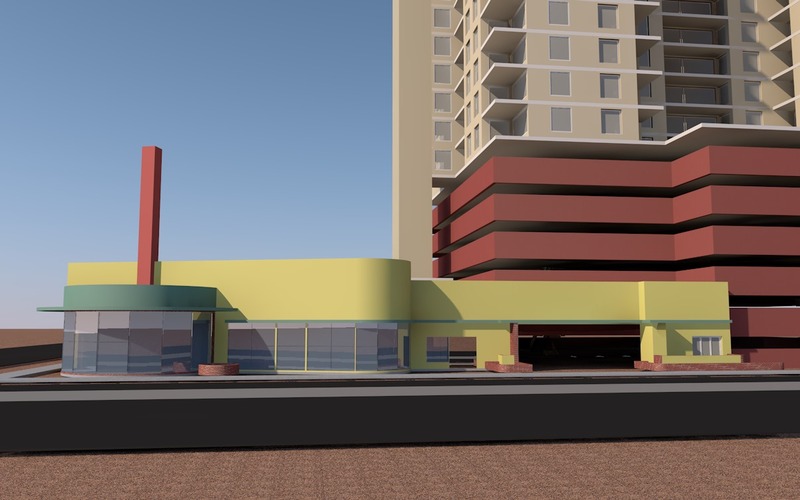 Representatives of the Arizona Preservation Foundation, Phoenix Historic Preservation Commission, and the Postwar Architecture Task Force of Greater Phoenix were shown renderings of the proposed project and given a tour through the property. Sadly, the treatment of the historic property represented in the development plans fell far short of their hopes and expectations. In the proposal, the only part of the building that will be preserved is the showroom, which occupies less than 25% of the entire building footprint. Gone is the bowstring-trussed auto repair shop. Gone is the parts storage and office wing. Gone is the design juxtaposition and intersection of the curvy showroom with the staid, clean modernist offices. 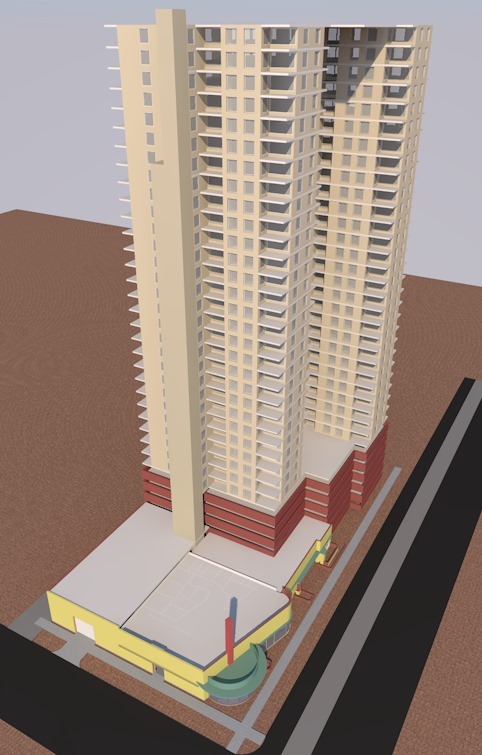 In their place will be a solid mid-rise residential tower wrapping the side and rear of the showroom. Aside from the loss of significant historic fabric, the abrupt change of scale is jarring and completely changes the artistic intent of the original architect. In doing so, it not only destroys the historical associations, but the architectural ones as well. The letter contains a number of specific criticisms, and the full text can be viewed here. A 477,000 square foot building on a complex site such as this will typically require additional approvals or at least administrative interpretations in order to comply with zoning. Developers in the downtown area are also frequently requesting development incentives from the city. Each of these processes is an opportunity for public leverage on the project. In addition, if the developer proves willing to discuss creating a positive partnership with the community, the property could become easier to lease and the project itself could be enhanced by public support for creative solutions that result in the building being preserved. In this case, it is an open question whether the proposed building meets the “Building Form Guidelines” of the zoning ordinance of not having “massing that is boxy, bulky, and elongated” above 65 feet (you be the judge). The building’s articulated “building base” is to be 1 to 4 stories in height – this base appears to be at least 6 stories. Both of these requirements are first reviewed at the staff level, and if minor adjustments are required, by the Design Review Committee. We should let city staffers know that their decisions will be scrutinized by the public and protested, if there is basis to do so. The site plan submitted in January also indicates that the project needs to avail itself of the “sustainability bonus” provisions of the downtown code in order to increase the number of apartment units from 270 to 320 (50 units). In order to do this, the project as designed must amass at least 30 “points” by providing certain public benefits and amenities. As an example, the project claims 4 points for “pedestrian amenities” intended to benefit the public, but which are in this case amenities for residents – swimming pool, fitness center, outdoor eating areas, etc. We should ensure that any bonuses claimed by the developer are strictly adhered to and provide clear public benefit. It appears likely that the developer will be seeking city tax incentives (GPLET) for the project. In this case, the City Council must be made aware of the public concerns for preservation of the building, and condition the allocation of any incentives on preservation. This tactic was successful in demanding a set-aside of affordable housing units just recently for the nearby Derby micro-unit apartment project. It also may be worth discussing all of the incentives that the developer is passing up by not preserving the building in a way that protects its historic and architectural character: the 20% Federal Historic Preservation Tax Credit, the State Commercial Property Tax program, and the potential for city of Phoenix threatened building grant money. All told, the value of the incentives would likely eclipse $1 million in this case. And that’s just the direct cash incentives – if the project were to avail itself of the sustainability bonus points for rehabilitating an HP-zoned historic building and provide a 30-year conservation easement, it would be provide 50 bonus points – enough to increase the number of apartment units allowed by 162 units and the allowed height of the building by 75 feet, or about 7 floors. I hope that downtown residents and preservation supporters will recognize the opportunity that still exists to preserve the Stewart Motor Co. building and band together to achieve this goal. Resist the urge to accept the token “hood ornament” that we have been offered, which is all that Stewart Studebaker would become if the current plan is carried out. As encouragement, remember three other historic buildings that were narrowly saved, only when the public outcry became too loud to be ignored: the David & Gladys Wright House, the Sun Mercantile, and the Fairgrounds Administration Building. Each of these appeared lost, and in each case, community voices halted the demolition. 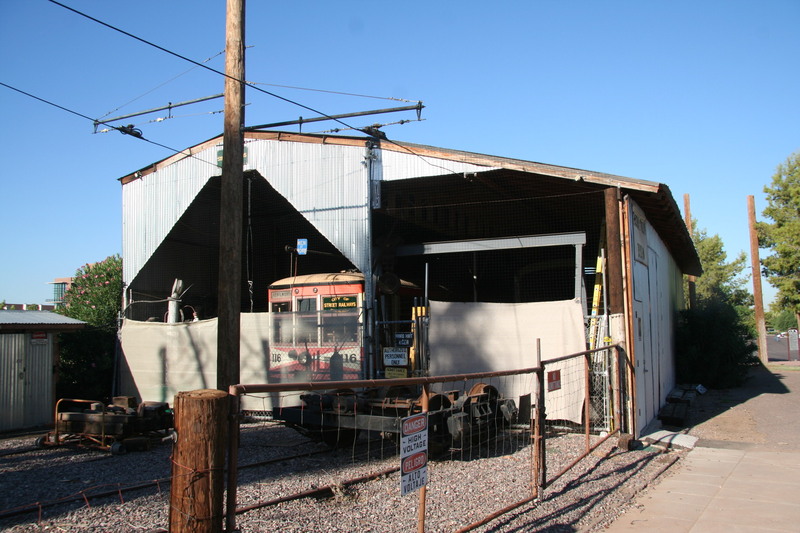 Can we keep the Phoenix Trolley Museum from going the way of the Phoenix History Museum? We may soon find out whether Phoenix has the capacity to save its home-grown cultural institutions for itself, or if it will allow yet another unique opportunity to enrich its quality of life to fall away. The Arizona Street Railway Museum, which has been using the name Phoenix Trolley Museum (PTM) to avoid confusion with another museum, has been going for 40 years in its Central Avenue location on the north edge of Hance Park. Like a lot of small museums, it hit the doldrums a few years back, and today few people seem to be aware that it’s there. 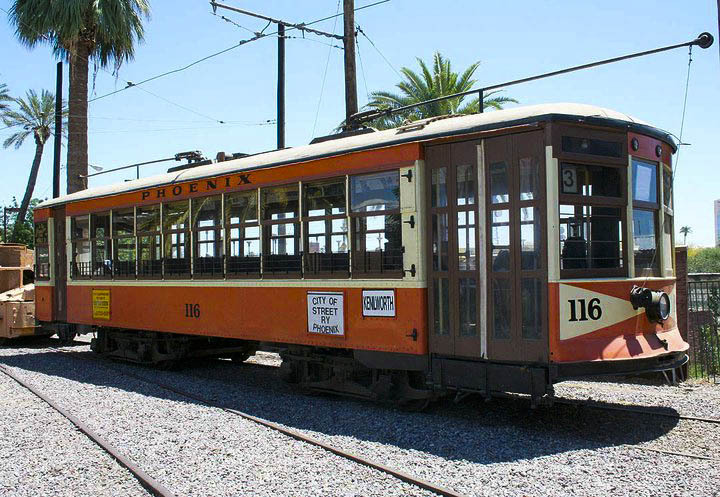 PTM has one unique asset that speaks volumes about the history of Phoenix: Car 116, an original Phoenix streetcar that survived the “great car-barn fire” of 1947. It’s a beautiful machine, restored for the most part. They even had it running a few years back, rolling out of its shed on a couple hundred feet of track and then back in. Maybe not much of a ride, but it moved, and was a living, breathing example of another era that recent transplants to our auto-centric valley find incredible: Phoenix had streetcars? 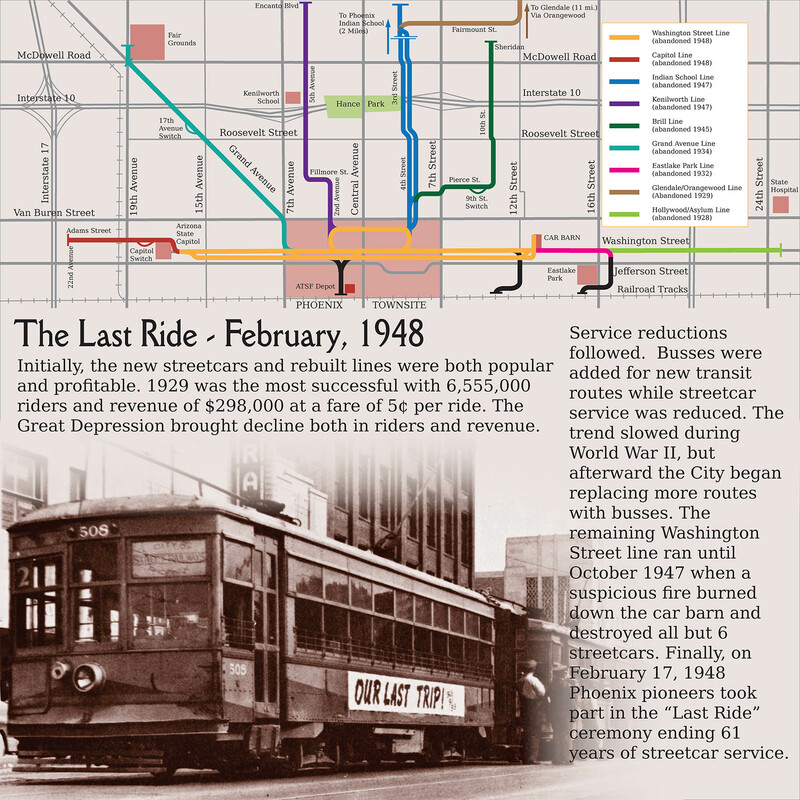 The streetcar story touches on dozens of other important and interesting themes in Phoenix history. How did Winnie Ruth Judd get to the train station with her bloody suitcase? Why are there old grocery buildings in the middle of neighborhoods, away from the main streets? Why did the state fairgrounds get its own trolley line, and why is Grand Avenue at that angle? Historic streetcars are under attack once again, this time being pushed aside for redevelopment of Hance Park. The museum was not included in the Hance Park Master Plan, because it was deemed insufficiently “active” to anchor the important node where Central Avenue crosses over the park. As of January, 2016, the museum has been told by city officials (who hold the land lease) to start making plans to clear out. They suggested September 2017 as being a good date to plan for. So the Trolley Museum must move. While this puts PTM in peril, it is also an opportunity to make something great for downtown Phoenix. The Trolley Museum and Car 116 is an incredible untapped asset. With an overhaul of the electric motors, the trolley car can run again. We just have to find the right place to put the museum and some tracks, and raise the money to do it. In response to the city pressure, PTM has adopted a three-year relocation plan. No word yet from the city as to whether they will be given the additional two years. There is a path to salvation, although rutted and potholed. But the process is beyond what the museum of today can achieve without help. You see, PTM has never really been organizationally functional since the departure of its founder, Larry Fleming, some years ago. The long-time members of the Board of Directors are mostly retirees, as are most of the 30-person general membership. They have little experience in, or energy for, actually running a small museum and in all that should come with it – organizing regular activities, volunteer docents, fundraising, publicity, etc. What is really needed now is a groundswell of support. The residents and proponents of downtown Phoenix should adopt the Trolley Museum. It needs to be their museum. It needs to have a broader spectrum of members, young to old, united by their excitement in bringing a working historic trolley car to their streets, and in creating a new vision for a museum that celebrates the history of Phoenix and its streetcar system. In March and April, the Museum plans a series of public planning workshops to envision what, and where, the new museum can be. Participation of the community will be crucial to breaking out of a 40-year-old shell and emerging as a fledgling, but active, part of the downtown scene. The author is a Board Member of the Phoenix Trolley Museum and the Grand Avenue Rail Project. I’m concerned that Phoenix is in danger of losing its sense of history. Here are the largest cities in the US in order of population: New York, Los Angeles, Chicago, Houston, Philadelphia, Phoenix, San Antonio, San Diego, Dallas, San Jose, Austin, Jacksonville, and San Francisco. What makes Phoenix stand out in this list? It’s the only one that does not have an institution dedicated to its own history. In fact, of the top 25 cities, it appears that only Phoenix, Indianapolis, and Nashville don’t have their own city historical museums – and Indy and Nashville host their state historical museums. (In Arizona, that honor goes to Tucson, with the local branch being in Tempe.) Wait, you say – what about the Phoenix Museum of History? We passed a bond for that back in ’88 and built them a multi-million-dollar building – at the Heritage and Science Park. 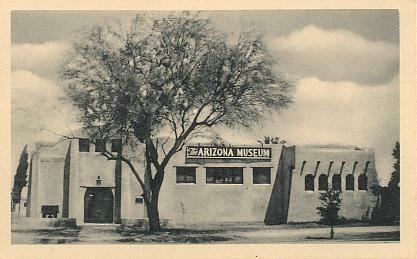 Unfortunately, the Arizona Museum, the group that ran the Phoenix Museum of History, was dissolved in 2011. The organization found itself unable to make ends meet after the City of Phoenix halted annual support payments. Their collections of records and artifacts became the property of the neighboring Arizona Science Center, with the understanding that they would keep a certain amount of historical exhibit space in operation, and allowing them to take over the historical museum’s facilities to expand their own mission. However only a portion of the collections were retained, with the remainder cast to the four winds. 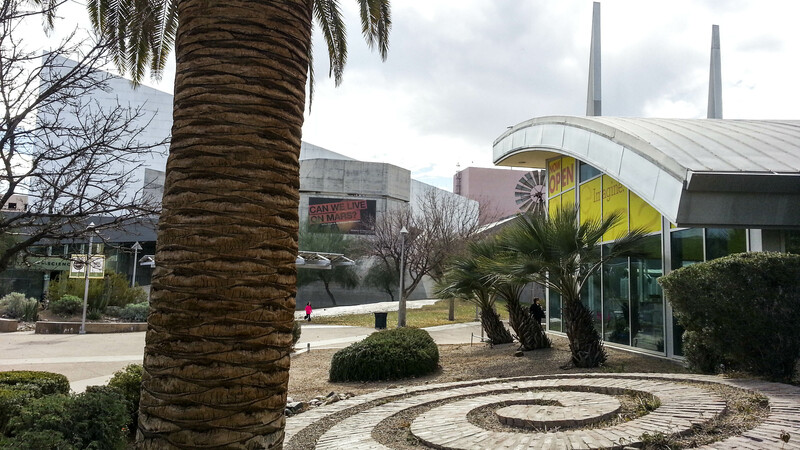 The former home of the Phoenix History Museum lies literally in the shadow of the Arizona Science Center. The takeover was controversial. Talking with some of the principals, there was definitely some bad blood created by the way it happened. Certainly, the museum’s Board was ultimately responsible, but it seems to me that the City set them up for failure by promising $50,000 per year in support and then pulling the rug out from under them at the worst possible time. And the Science Center’s actions appear to be nothing short of predatory. Of course, there are a number of other historical museums in Phoenix. However, specialty museums such as the Hall of Flame or the Police Museum, and prehistoric museums such as Pueblo Grande, don’t do justice with the story of Phoenix itself, only small segments of that history. It is an absolute embarrassment that the sixth largest city in the United States can’t marshal enough interest in its history to support an historical museum to remember and celebrate its roots. It is equally embarrassing that our city government not only failed to help save the history museum but in fact contributed to its demise. So it’s time for all of us historical wonks to get together and form the kind of coalition that it will take to resurrect the Arizona Museum. And it’s time for the City of Phoenix to help fix the mess that they caused during the recession. And it needs to be done before there is any further loss of our historical patrimony. If it were up to me, I’d recreate the institution in the place it first started – at its historical home in University Park. When the museum moved out, the neighborhood was at rock bottom and the museum was starved of visitors due to the perception of blight that pervaded west Van Buren. Today, the area is once again in ascendance, due to the efforts of the Capitol Mall Association, GAMA, and the recent re-colonization of the surrounding historic neighborhoods by young hipsters. The building stands waiting for the return of its original purpose. Perhaps it would make sense to partner a resurrected Phoenix History Museum with the Phoenix Trolley Museum – who will be losing their home soon due to the redevelopment of Hance Park; it seems like a natural enough partnership, and there is strength in numbers. The once and future home of the Arizona Museum / Phoenix History Museum? This may be one of those situations where need meets opportunity. We need an institution whose purpose it is to safeguard the records and artifacts of Phoenix’s history, and to educate the public and the coming generations about how we came to live in the desert. Those lessons are relevent as we reexamine the sustainability of our lifestyles and re-engineer Phoenix’s urban form. The opportunity is created by an improving economy, rising public interest in history and the growth of the number of constituents choosing to live in our historic core. There is a potential home that is tied to Phoenix history, not a glass and steel piece of moderrn architecture; and there are partnerships that can be created that could strengthen the revitalization of our west-side neighborhoods and other struggling institutions. Let’s take advantage of this convergence and reestablish the Arizona Museum at University Park. View a print-friendly version of this article here. Everyone agrees that a walkable, vibrant downtown with memorable places to live, work, and play would be a good thing. There seems to be much less of a consensus on what that means, in physical terms, and how you get there. We have been trying for decades, at least since the 1970s, to revive downtown Phoenix following the suburban flight that occurred after World War II. I recall in the early ‘80s tracking all of the exciting new developments downtown, and how, collectively, they were going to do the trick. Anybody remember the French Quarter? The Mercado? The Mile-High Tower? These, and many others, were examples of a top-down approach to what we now call “placemaking,” the attempt to create buildings, spaces, or streetscapes that people would love because of their unique appeal, comfortable ambiance, and vibrancy. All of our failed attempts at placemaking have common elements. First of all, they tend to be ideas hatched by a single person or small group, grasping for a unifying concept that looks, on its surface, likable. Not recognizing the positive aspects of their place, they attempt to evoke a different place; something else, or somewhere else that is already loved. Who doesn’t like the excitement and street life of New Orleans, or of a Mexican market like in Nogales, or the prestige of having the tallest building in the world? Build it and they will come, they say, because it will be so cool that it will sell itself. These developments tend to have a grand scale in an attempt to create their own context. Civic Plaza, the basketball arena, and the baseball stadium each were supposed to “fix” downtown in one bold stroke. Arizona Center went to the grand scale as well, but more successfully. The appeal of a mega-development is understandable from an economic perspective – you can get a whole lot done in a short period of time, and stretch your funding as far as you can. The problem with grand-scale projects is that they tend to become monotonous and uninteresting, particularly after a few years when the novelty wears off, and lack the fine-grained texture that great places have. None of the failed attempts at placemaking had broad community support, and that was their downfall. Of course, in the early years of rebuilding downtown, there was little community there to provide support. So instead, the developments were geared toward an imaginary “customer,” a.k.a. future downtown resident or patron. Unfortunately, most failed because they did not attract the forecast customers. Today, we are fortunate to have developed a larger constituency for downtown, people who already live here, already work here, and who are strong advocates for their downtown. And those people are the key to finally re-making a successful center city. Successful placemaking requires building community consensus: ground-up, not top-down. The top-down approach is much easier, but the results speak for themselves. Ground-up means you have to ask people what they want – and to get a meaningful response, you have to actually engage in a dialogue, because most people really have not thought that much about what they want their city to look like. That’s hard, and that’s why you so seldom see it done. I look to the new Hance Park planning effort as an example of how community consensus building can work. They got the community involved, they asked the right questions, and from that data created a plan that contained the elements that people want – and likely will use. Time will tell, but I expect that the next generation Hance Park will not appear on a failed-developments list. Placemaking also requires cooperation. When individual property owners look only within their own boundaries, and propose developments without integrating into their context, opportunities can be wasted and good places can be destroyed. As we enter the next boom cycle of building downtown, developers have been proposing projects without public input – living within their existing land rights, not because they are being good neighbors, but because it’s easier, and more definite, than engaging with the community. Gauging from the groundswell of resistance, these developments don’t appear to be making the kind of places that the community wants. We have the opportunity to create a community vision that can serve as the measuring stick for new developments. We can ask that projects respect their historic, geographic, and social context into which they are built. It’s hard – but the results would be worth it. Adams Street between 5th and 6th Avenues retains an authentic character. Phoenix has always been a place where new is better than old. The central city has been remade time and again – adobes gave way to brick Victorians, which were supplanted by Art Deco towers. When the Civic Plaza was constructed on the land scraped free of the scary-but-historic area known as “The Deuce,” the blueprint, yet again, for remaking downtown was to tear it down and build something new. The pattern continued with public mega-projects such as America West Arena, Chase Field, and the Biomed Campus. These developments helped to revitalize downtown, but many also damaged the soul of authentic Phoenix.New, modern buildings are not necessarily incompatible with maintaining authenticity. Many modern uses don’t work within existing buildings. However, we need to do a better job of integrating the old with the new. Architects generally don’t like this approach because it constrains their vision. Developers don’t like it because it is harder and more costly. But the public can tell the difference, when given the chance. There is a longing for authenticity in those with Phoenix roots, people who like cities, and who have chosen to live in our urban core. 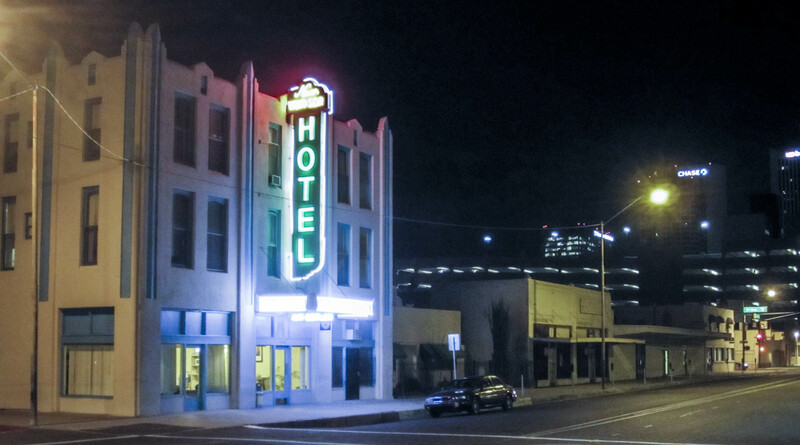 The older, reused, and revitalized buildings of the past are the greatest contributors to the feeling of authenticity in downtown Phoenix. The new buildings just seem like filler. Creating a “Phoenix Style” was discussed in the Arizona Republic in the 1980s. Architects are still searching for authentic Phoenix. When the City Hall competition was taking place in the mid-1980s, there was a collective quest for defining a “Phoenix style.” Many entrants said that Phoenix was a place with no style, no traditions to follow – and therefore a clean slate. Those of us who were familiar with the history of building in Phoenix were surprised by this perception. Authentic Phoenix is all around us. It lies in the buildings, landscapes, and streetscapes that were here before the waves of redevelopment began. Architect-designed landmarks such as the Luhrs Tower and the Security Building as well as nondescript warehouses and prewar neighborhoods are all part of authentic Phoenix. We can learn a lot of important lessons from authentic Phoenix. After all, for a long time people had to live here without the two inventions that have now made Phoenix unsustainable: cars and air conditioners. The city may have been uncomfortable in the summer but it was livable, shady, green, walkable, and beautiful. Just the kind of place people want to live today. Motleyblog on Will Grand Avenue be Next?